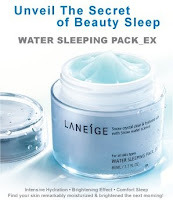 With the launch of the Yun YeJi Water Sleeping Pack Limited Edition, Laneige is giving out FREE Water Sleeping Pack sample at ALL Laneige Counters. 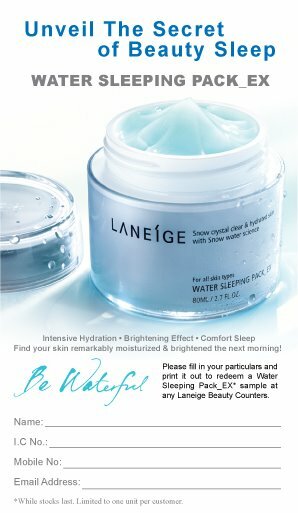 How to get FREE Laneige Water Sleeping Pack Samples? All you have to do is print out the form below, fill it up and submit at any Laneige counters.